In today’s video blog post, we are demonstrating a fantastic 3-on-3 full court shooting drill called the “Hockey” Drill. The purpose of this full court shooting drill is to get the player who defensive rebounds, gets the steal, or gets the outlet pass to advance the ball up the court. If you have a chance to throw ahead to a wing to make a play, you should definitely do that. And if the defense is guarding the wings, then the wings will cross to create a possible opening. Now take it out of bounds, and whoever gets the inbound pass brings it up to the middle. You can also get the outlet, using the same rules. The player busts the middle, and you then replace, and now you can run the court and cross the wings again. 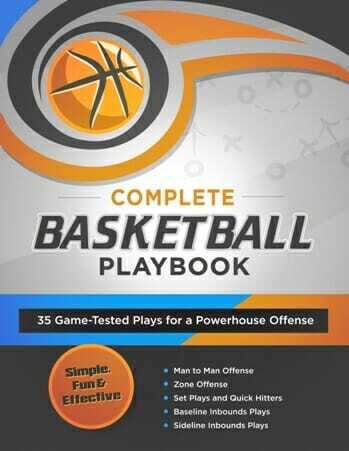 Remember, your players can’t pass until you cross the half court line. You want to make sure that your players are turning their body to protect the ball so they don’t get stuck with the ball in front of him. This is where you learn how to advance it. In your practices, it’s also good to mix up the groups because you want your bigger players to be comfortable handling the basketball. For more full court shooting drills, tips and techniques, be sure to check out my Basketball Drills & Practice Plans Video Series! 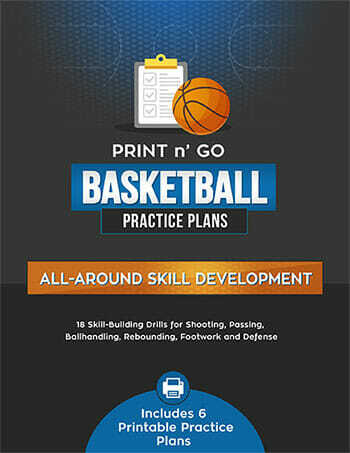 And don’t forget to Like Us on Facebook, where I will share more great basketball drills and practice plan ideas! 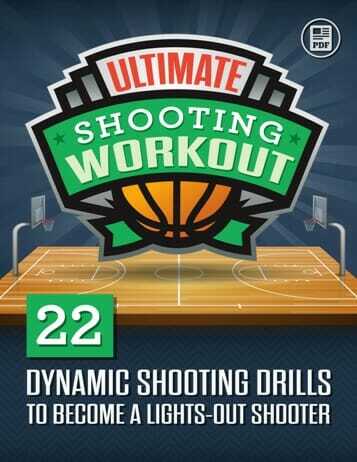 Great drill, will adapt it a bit to make it more suitable for wheelchair basketball but still going to try this drill. Thanks!